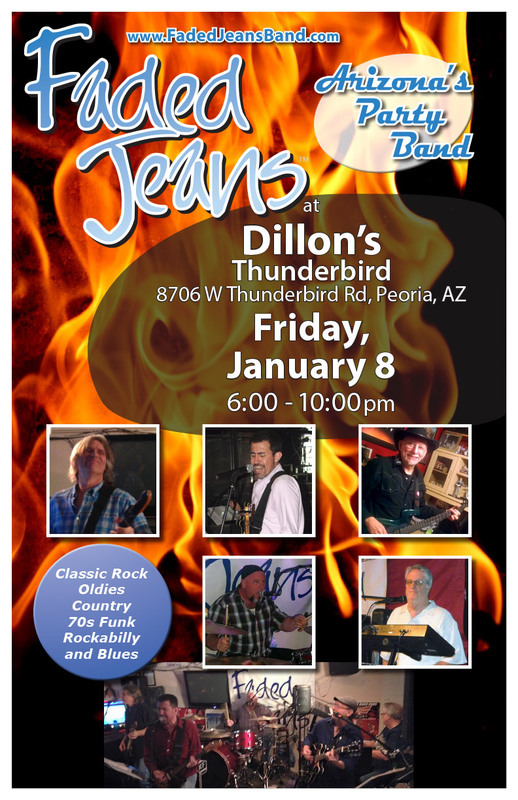 Rockin’ 2016 at Dillon’s T-bird! | Faded Jeans – Arizona's Party Band! ← Kick Off December at Dillon’s! Rockin’ 2016 at Dillon’s T-bird! Be sure to bring your camera and share your photos of us rockin’ with our newest addition! Michael “the Axe Wrangler” Norris came from the cornfields of Illinois to the desert of Arizona (“The land of Opportunity”) in 1975 and found what he was looking for … he’s been rocking the Valley ever since. Killer Beeze, Black Widow, The Wett, and Goldbrick were just some of the bands he has fronted on lead guitar and vocals over that time. Now he’s fluanting his stuff with Faded Jeans, continuing his love of playing great music in Arizona’s Party Band! 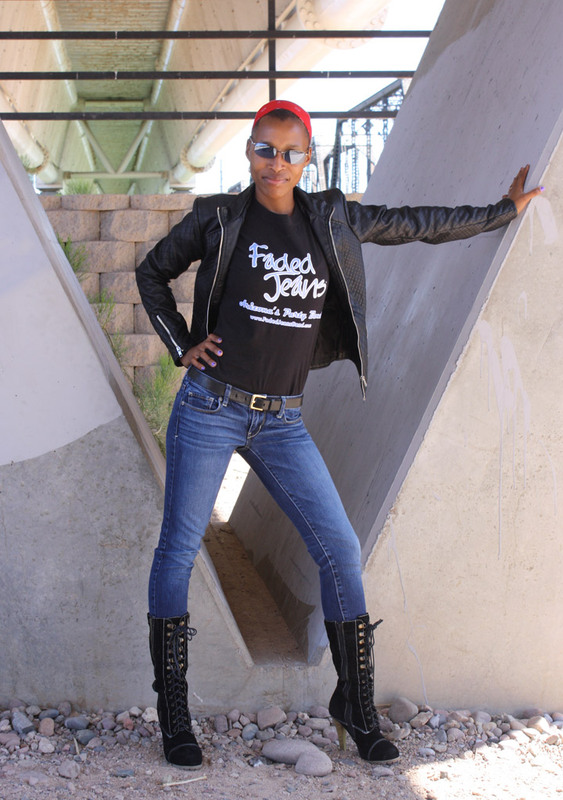 Faded Jeans logo shirts for guys and gals are available at all FJB shows while supplies last. Grab one for only $20, or two for $30! Of course, once you have one, don’t forget to show it off … just share a photo of you in your FJB shirt and we’ll add it to the collection on our Facebook page! This entry was posted in Updates and tagged Dillon's Thunderbird, Faded Jeans. Bookmark the permalink.